Are you developing a new WordPress theme? When I started off, I had a little trouble debugging the website and testing it. But then I discovered these excellent powerful plugins that helped me. So here is my list of the top 5 WordPress Plugins for Theme Developers. Since this is a layered window clicking on the grey “X” at the top of this page will take you back to the webpage you were viewing. If Debug Bar spots any major errors, it will turn Red. There are a lot more panels and information that is available on Debug Bar than shown in the image above. 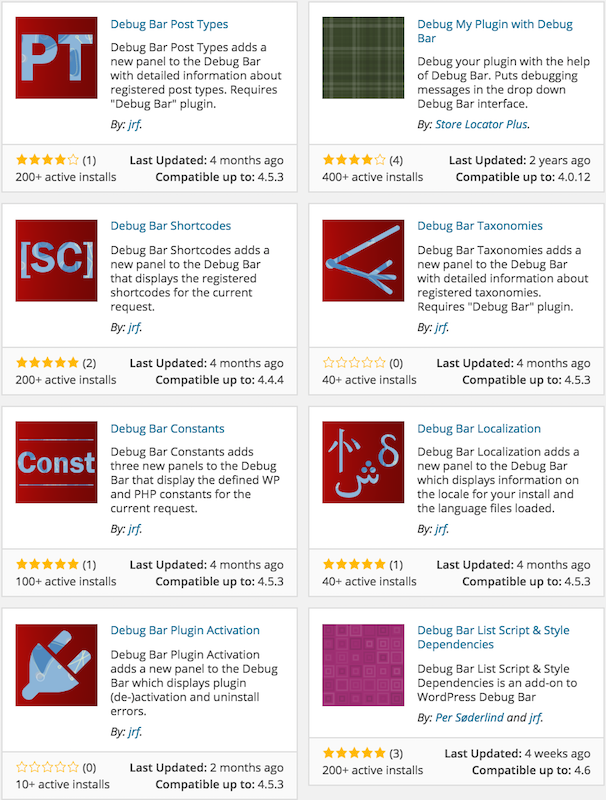 There are also a lot of plugins that are available in the WordPress Plugin Repository, that adds new panels to the Debug Bar. As you can see, this plugin is not just about debugging but about monitoring the website performance. This plugin has so many advanced features compared to many other debug plugins out there. Clicking on the toolbar will show you more options that you can view in detail such as HTTP requests, enqueued files, PHP errors, AJAX calls and much more. For a novice user, sometimes this can be a little too overwhelming. But this is an all inclusive plugin and will have all your bases covered. If you have any Debug Bar add-ons installed, just deactivate Debug Bar and the add-ons will show up in Query Monitor’s menu. You can filter the queries by component or calling function makes it easy to see which plugins, themes, or functions are making the most (or the slowest) database queries. Theme Check is a must-have plugin if you are developing your own WordPress theme. This plugin tests your theme with the automated testing tools that WordPress.org uses for theme submissions. The results are displayed (see image below) and you can fix any issues highlighted here. This plugin ensures that your theme is built according to the WordPress standards. Once you activate this theme, you will find a “Theme Check” submenu under the Appearance menu. Once you are on the Theme Check page, you can select any installed theme from the dropdown and click on the “Check it!” button to get your results. You can run Theme Check on a theme that is not activated yet. All you need is for it to be installed. 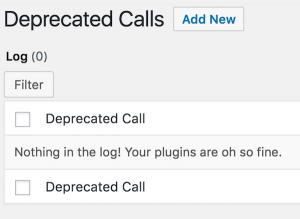 Log Deprecated Notices is a very useful plugin in identifying any deprecated files or functions in the theme or plugin files after a WordPress version upgrade. It shows you where exactly the function is being used (file name and line number) and also provides you with alternatives where applicable. 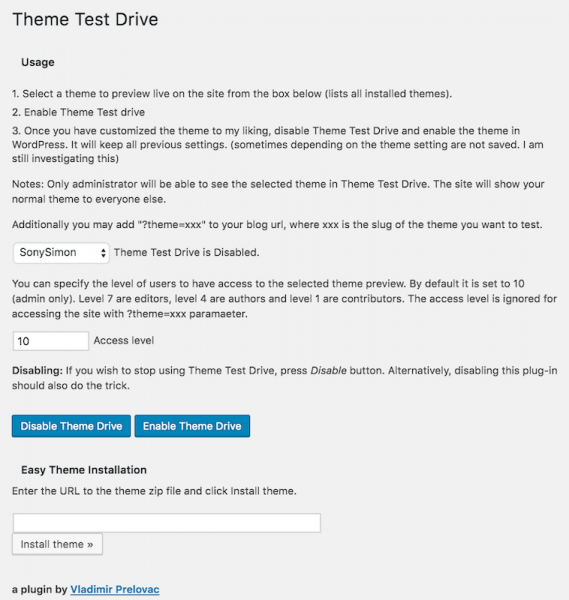 Theme Test Drive plugin allows you to test drive any theme on your blog as administrator, while the website visitors still see the default theme on the website. If you have Theme Options for the theme you are testing, even these can be amended and tested without impacting the original website. You can enable and disable Theme Test Drive by going to the submenu under Appearance menu. 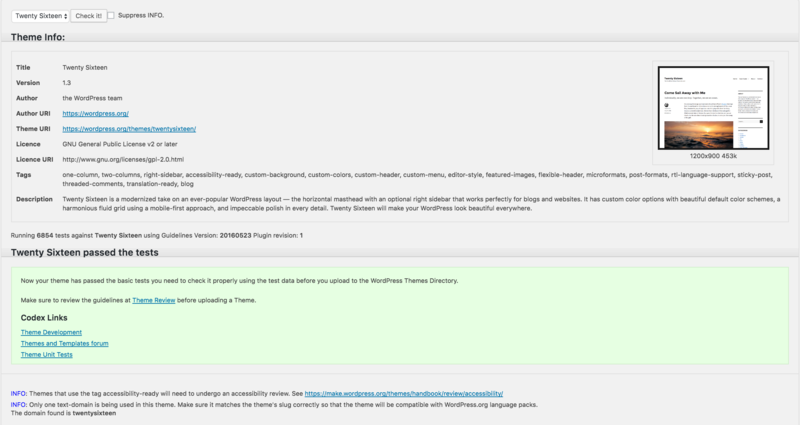 You can also preview your theme with various access levels – Admin, Editor, Author or Contributor. This plugin itself is called “Developer” and is a top favourite among WordPress developers. You know why? It shows you a set of useful plugins that you can install with a single click. The list includes most of the plugins I mentioned above and many more. If you found this article useful, let me know in the comments below or on social media. If you are a WordPress Theme Developer what are your go-to plugins for development? You can read many more articles on website development and WordPress development on my website.